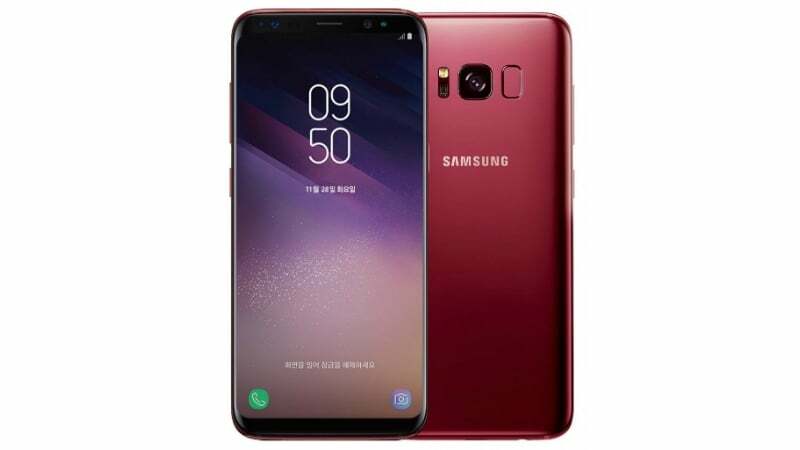 Samsung India has announced the all-new Burgundy Red colour variant of its last year’s flagship Samsung Galaxy S8 in the country. The Galaxy S8 in the Burgundy Red colour will ship at the same price of Rs 49,990. The new colour option will be available across the leading offline portals along with additional Rs 10,000 cashback from Paytm, which makes the device price even lower and a compelling one. The device will be up for sale starting April 13, but Samsung India is yet to state the availability of the smartphone on e-commerce portals such as Flipkart and Amazon. So the Galaxy S8 will now be available for purchase in four colour options- Midnight Black, Maple Gold, Orchid Gray and the all-new Burgundy Red. The Samsung Galaxy S8 redefined how the flagship smartphones look in 2017 and Samsung used the same design on its 2019 flagship devices. Recently, the Galaxy S8 and S8+ received massive price cuts and they now start at Rs 49,990. Along with the Paytm cashback offer, the Galaxy S8 will be available for just Rs 39,990, which puts it against the likes of the OnePlus 5T, LG V30 and several other affordable flagship phones. The Galaxy S8 is still a great phone for users looking out for a flagship device at an affordable price point. However, the Galaxy S8 is out of stock on Flipkart and if you want to purchase it, you have to head over to any of the retail store to get it. The Galaxy S8+ is still available on Flipkart and across retail stores too. The Galaxy Note 8 is still over Rs 60,000 in the Indian market, but you can get the S9+ ahead of the Note 8 because the it packs 2018 hardware.